Readers have posted many negative reviews of Gannett Co.'s redesign of The Record of Woodland Park, as well as staff changes, on the Facebook page of NorthJersey.com, the website of North Jersey Media Group. The unannounced redesign of The Record of Woodland Park in November has upset many readers, leading some to sound off on Facebook and cancel subscriptions. 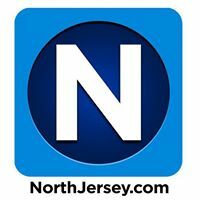 Gannett Co. hasn't published any negative letters to the editor of The Record, but invites readers to "review" the print edition on NorthJersey.com's Facebook page. Of course, many loyal readers are older and don't use computers or smartphones, so that likely has limited the number of negative reviews. "You new format of providing less news in all areas is a disgrace. After over 40 years of home delivery, I will not renew my subscription unless it improves in a very short time." Don't hold your breath, Hank. "Have been a loyal and devoted reader of your newspaper for over 30 years. The new format of your print paper is horrendous. Sad to say, we've bought our last copy of The Record today." "The Bergen Record needs to stop looking like The Rockland Journal News NOW!!!!!" Another reader, Barbara McDermott, agreed. "I can't believe Charlie McGill is gone. What are you thinking? My "Record" went south a long time ago but this is just the last straw. Such a sad day. Why did you ruin such a great hometown publication. Sigh." Check out this YouTube video of McGill talking about his "Athletes of the Week" feature. Along with allowing Governor Christie to profit from writing a book while in office, a separate bill would end a legal requirement that municipalities and counties publish official notices in newspapers (1A). "That would hurt their revenue streams," Staff Writer Salvador Rizzo says, avoiding the word "profits." Rizzo goes on, "One legislative source says the bill was meant as punishment for New Jersey's newspapers." This is the second time The Record has reported the measure is designed to punish newspapers, but the Woodland Park daily doesn't say why. Does it have anything to do with Christie ending his presidential campaign in February and immediately throwing his support behind Donald J. Trump? That prompted The Star-Ledger and six other New Jersey dailies to call for the governor's resignation. The Record was the only exception, and has never even reported what their editorials demanded. As the Trump transition becomes more bizarre day after day, The Record generally has avoided reporting about it on Page 1. Today's story on cyber attacks during the presidential campaign is an exception -- "GOP leaders join outrage at Russia" -- but recall the front-page takeout on Manhattan carriage horses on Sunday. Most of Monday's front page was devoted to one of the most boring topics under the sun: state politics.